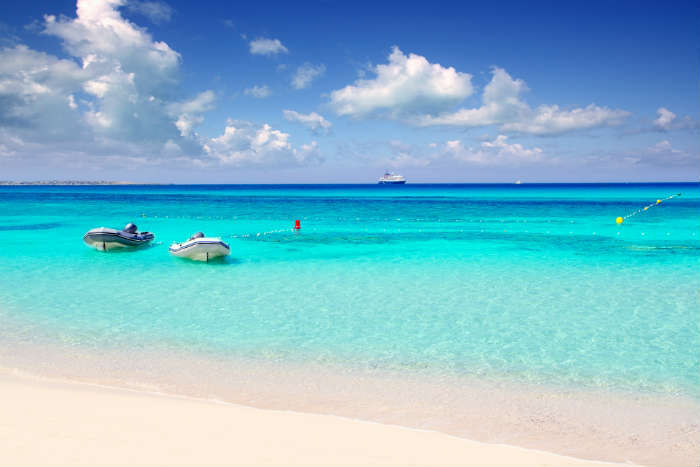 One of the least well known of the Balearic Islands, nestled just south of Ibiza, lies Formentera. A secluded paradise, the beaches on this island, particularly Playa Illetes, are comparable to those in the Caribbean with their clear blue sea and crisp white sand. Whilst Playa Illetes is one of the most well known of the Formentera beaches, the island, which remains mostly untouched by the mass tourism of Ibiza and Mallorca, has many beautiful natural beaches with unspoiled landscapes that are full of local charm and history. 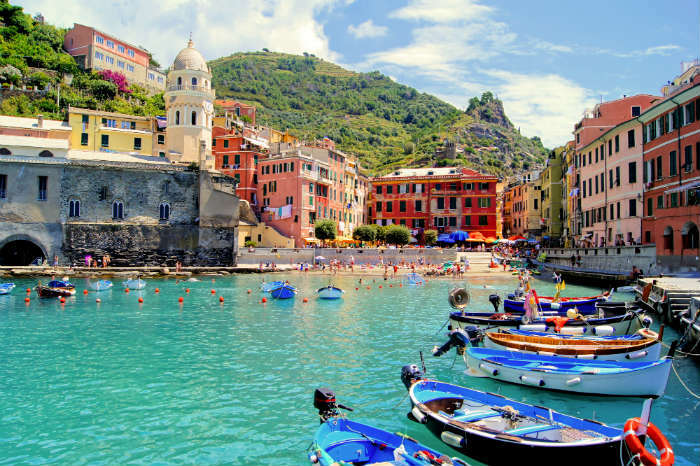 In my opinion the best beaches are in the Cinque Terre in Italy, my favourite of which is at Vernazza. The beach here is so picturesque and the town that runs into it has a timeless fishing village feel about it. It's wonderful to watch the local children diving off the harbour into the sea and the water is beautiful for swimming in. The townspeople are really friendly and, best of all, there's the most fantastic gelato a stone's throw away - perfect. 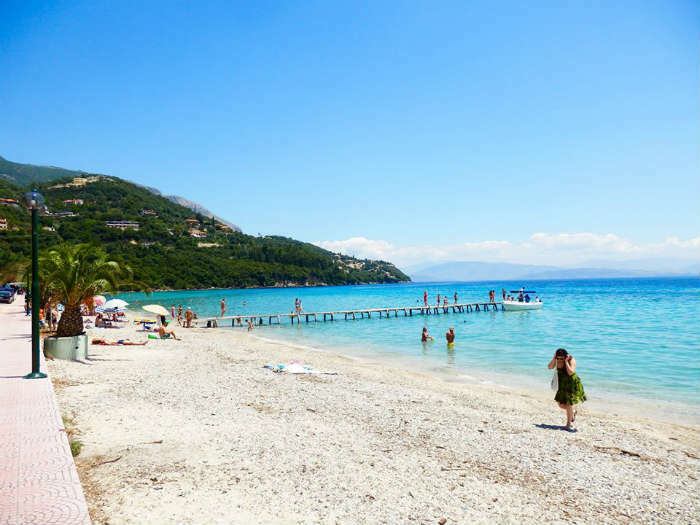 Forget Kavos; Corfu boasts quiet and serene beaches which some might not expect. Ipsos beach (north of Old Town) has everything; long stretches of both sand and pebbles, leafy mountains on either side and a straight stretch of calm water as far as you can see. There's even a local man who has sold corn on the cob for over 30 years, adding to a serenity you might not expect from this island. This beach was incredible! Not only was water incredibly warm, clear and just SO blue, the view was amazing. You face the curve of Italy's boot (Calabria) in front of you, and to your right is stupendous Mount Etna. To get the best view though, make sure to take the ski-lift down to the beach from the centre of town during sunset, it's breathtaking. 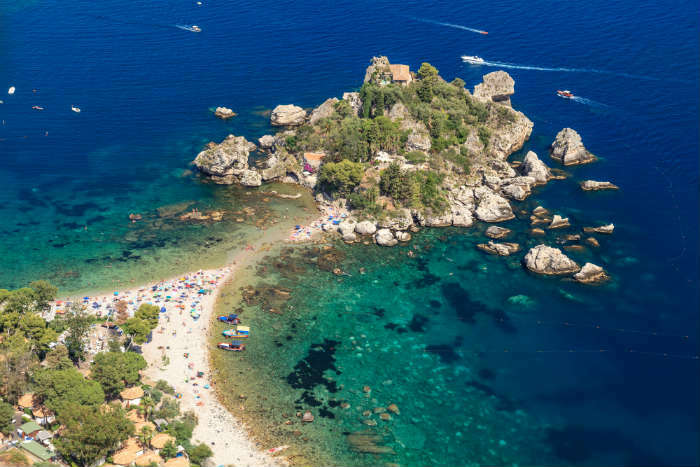 I also highly recommend taking a paddle boarding lesson in the safe haven of the bay, or take a short boat tour to view the Grotta Azzurra and Isola Bella close by; oh and of course (it goes without saying!) make sure to sample the incredible Sicilian cuisine! 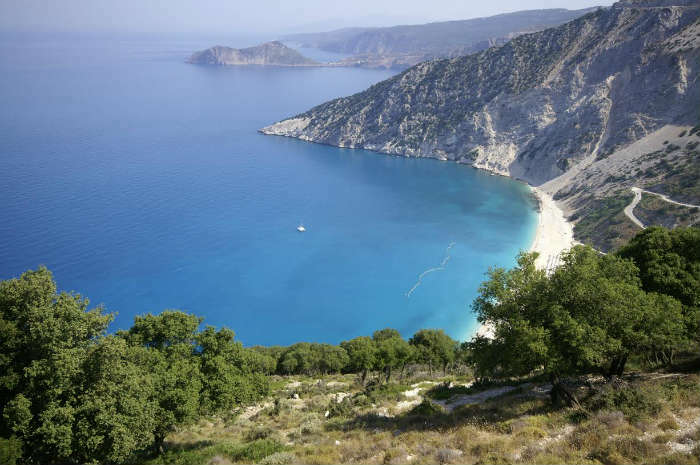 Myrtos Beach, in North West Kefalonia, Greece, is Europe's hidden gem. A must for all visitors to the island, the panoramic views over the bay are truly breathtaking. 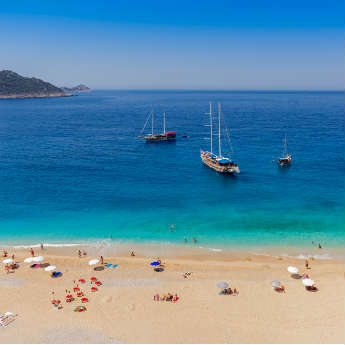 The beach sits nestled at the foot of two mountains, creating a hidden cove of white pebbles and pure turquoise sea. 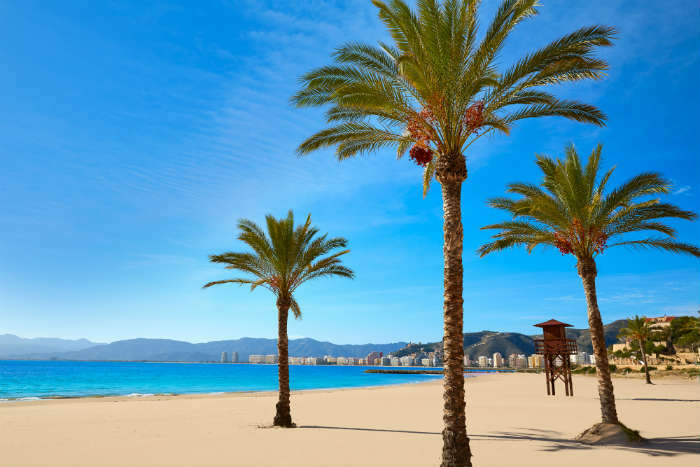 Malvarrosa Beach in Valencia allows you to get away from it all with their towering palm trees lining the way to a slice of heaven. Soft to the touch sand and deep blue waters provides the perfect beach experience. 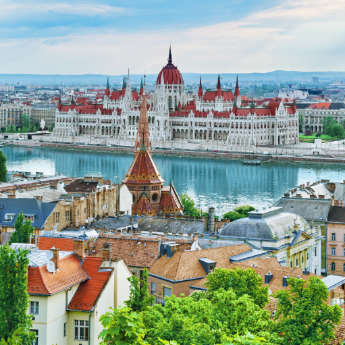 If you find yourself working up an appetite, then you're perfectly placed near a boulevard of restaurants where you can sample some delicious Spanish cuisine. 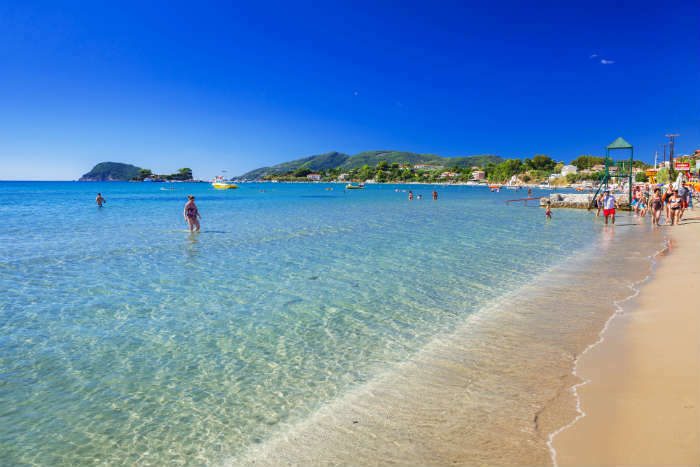 Laganas is one of most gorgeous sandy beaches in Zante meaning it's super soft on your feet. The turquoise water goes on for miles, or so it seems, and is perfect for swimming and trying out all the water sports on offer. At night Laganas Beach is still bustling, as many of the island's turtles come up from the sea to lay their eggs, who then hatch and make their way to start their life journey in the sea.It is such an awesome place if you're looking for that perfect clubbing reputation or even a lazy family holiday. This stretch of sand sits directly below the stunning sail-like structure that is the W hotel, which is almost a tourist attraction in itself in the city of Barcelona. 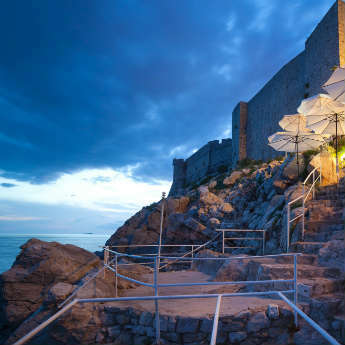 For me, this is a must-visit and you can take in the sun, sea and sand in a relaxed and beautiful setting. 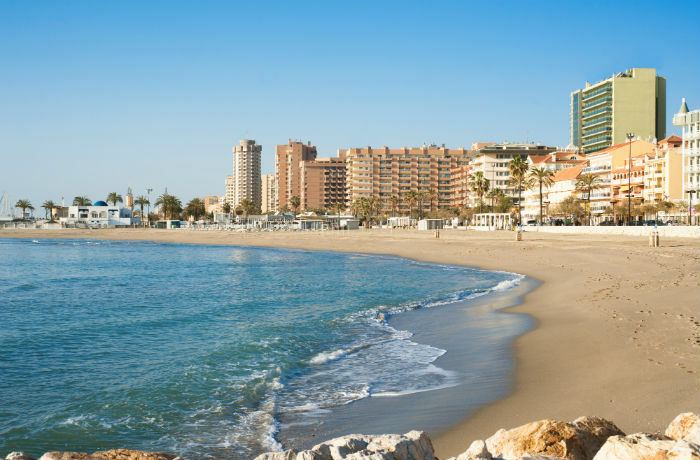 Fuengirola, in the Costa Del Sol, is brilliant if you are after a little bit of Mediterranean sunshine. Oozing Spanish charm with a lush sandy beach and many cafes/bars nearby it is a great place for relaxing and topping up the tan. It is also not too far from Towie favourite, Marbella. One of my favourite European beaches is Pevero Beach in Sardinia. The turquoise sea against the deep blue skies and golden sand is quite something. The colour quite literally pops. There's quite a fun vibe at the beach and a lovely beach cafe serving local cuisine that is simply belissimo! 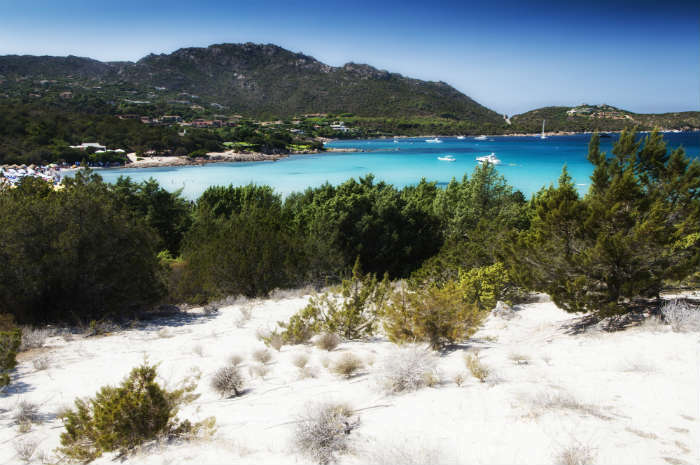 And finally, for young families like mine, Sardinia is only a quick flight away to get some much needed sunshine and rest. If you're looking for a slice of paradise a bit closer to home then the beach at Lulworth Cove in Dorset is a true beauty. 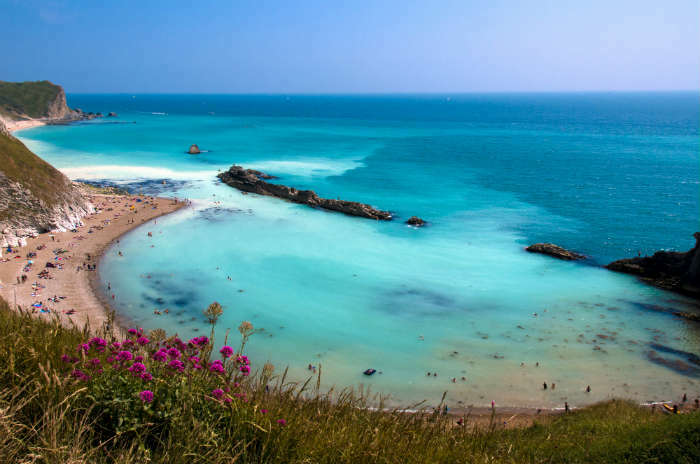 Curving into a pretty bay that's sheltered by the iconic Dorset cliffs, this beach offers shallow, clear waters and a picturesque setting. So, if you're choosing your beach holiday destination this year, where will you be heading? Let us know by leaving a comment in the box below!